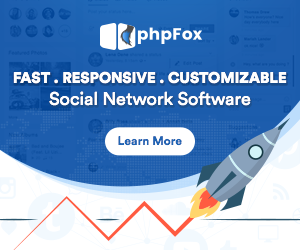 We’ve partnered and worked together with Hostiso – a hosting for phpFox platform – to provide you optimized servers and optimized phpFox experience, which also gives you the freedom to focus more on building your community instead of server management or phpFox optimization. Let the experts work for you! Worry-free hosting – Around-the-clock uptime monitoring, daily backups, and automatic core software updates are all included with your plan. So you can spend your time doing your works, not just managing servers and software. Incredible performance – Faster loading sites get better search rankings, more traffic, and more satisfied visitors. So we spared no details in our hardware, software, and network designs. Our load-balancing and all-SSD servers with multiple caching layers are just incredibly fast. 24/7 certified support – Our support staffs follow through a rigorous phpFox certification program. So if you ever need to contact us you know you’re getting a professional phpFox hosting support, 24/7/365. Free setup & migration – We provide free migration service to pre-made server for you and make sure that everything is working properly for your phpFox sites; this includes PHP, MySQL optimization for phpFox, speed improvement, custom caching, CDN setup and many more other options. Discount & Gifts – In partnership with Hostiso, we also provide you discount on purchasing any hosting package with coupon code: YOU-HOST. This will provide you 80% discount on any hosting package with Hostiso. Also, you will have $50 coupon code to spend on YouNet store.